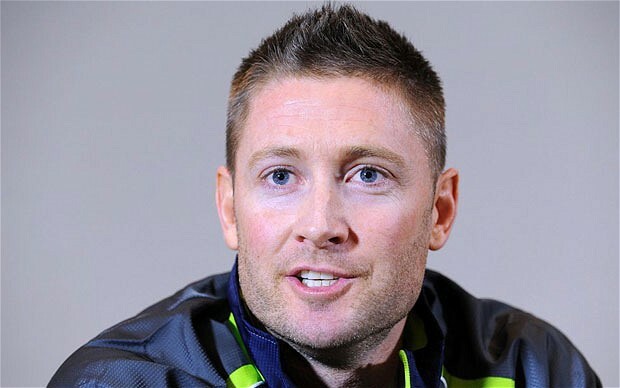 Australian skipper Michael Clarke, battling to regain fitness from hamstring surgery and chronic back pain, said Monday he would be prepared to play under the captaincy of young gun Steve Smith. Amid reports that the team prefer the stand-skipper who has had a sensational summer at the crease ahead of the World Cup, Clarke insisted his relationship with his team-mates was exceptional. And asked on Triple M radio if he would play under Smith's leadership, the 33-year-old replied: "Most definitely I would." Clarke said he had already been in Smith's position himself. "I feel for Smithy because I sat in his shoes when a lot of the media were calling for (former captain) Ricky Ponting (to go). "It's certainly not personal between Smithy and I. We've been friends for a long time and we'll continue to be." "The people that sit above both him and I will make their decisions," Clarke said. "Whatever they feel are the best 11 players, they will pick that 11. "Whoever they feel is the best captain for the team then they'll pick that." Clarke did his best to bat away reports on Fairfax media that the players prefer the laid-back Smith, who is eight years his junior. "I'd like to know where it's coming from," he said. "It's obviously disappointing because I haven't been around the team ... for the last seven weeks now I've been away from the group. "I feel like my relationship with Cricket Australia , especially my teammates, is exceptional. "I speak to all my teammates regularly." Clarke was forced to bow out after the first Test against India in December with the serious hamstring injury, and Smith filled in as captain for the three remaining Tests. Smith last week capped a remarkable season by sweeping the main awards at the annual Allan Border Medal ceremony, including Australian player of the year. Cricket Australia has given Clarke until Australia's second pool match against Bangladesh on February 21 to prove his fitness for the World Cup. He hit 51 for his local Western Suburbs team on Saturday in his first comeback game, including two fours and a six, and said medical staff considered his recovery was ahead of schedule. Clarke is now set to play for a Cricket Australia XI in a practice one-dayer against Bangladesh in Brisbane on Thursday.